After such a good start, it is frustrating that the film suddenly descends into typical Hollywoodese in a ludicrous scene involving Mario and his singing teacher (Joseph Calleia). Looking very ill at ease—as if he understands the absurdity of the demands being placed upon him—Mario is asked to sing a high C in full voice for his teacher without any warm-up. In the original script, this scene was conceived as a montage depicting Lanza's growing infatuation with Joan Fontaine. There is a montage of sorts in the film, but it is poorly executed, leaving the viewer to assume that Mario storms out of the room in emotional turmoil simply because he has caught sight of Joan Fontaine's photo on the piano. The Otello Act III Monologue (Dio! Mi Potevi Scagliar) follows shortly afterwards, and this scene is easily the most impressive of all Lanza's movies, both vocally and visually. Superbly filmed with one exception (an unnecessary—and clumsily inserted—"E' la!" from the performer playing Iago), we see the skyscrapers first as the orchestra roars the thunderous opening bars of the Monologue, followed by a sweeping shot inside the opera house that pans from an opened score of Otello to the stage itself, where Lanza is rehearsing Verdi's sublime aria. Everything is superb about his acting and singing here, as he adroitly conveys Otello's inner turmoil, ranging from a resigned weariness to maniacal joy, and concluding with a high B-flat on "O GIOIA!" that must have left cinemagoers dumbstruck by its brilliance. It is an extraordinary scene, and a potent reminder of what Lanza could, in time, have done with the role on stage. "Mr. Lanza never was in better voice," A.H. Weiler of the New York Times would later observe, and the tenor's rendition of the Otello Monologue is arguably his greatest operatic recording. As the Australian music critic John Cargher once remarked on his radio program Singers of Renown, the Otello Monologue alone would "assure Lanza of immortality." 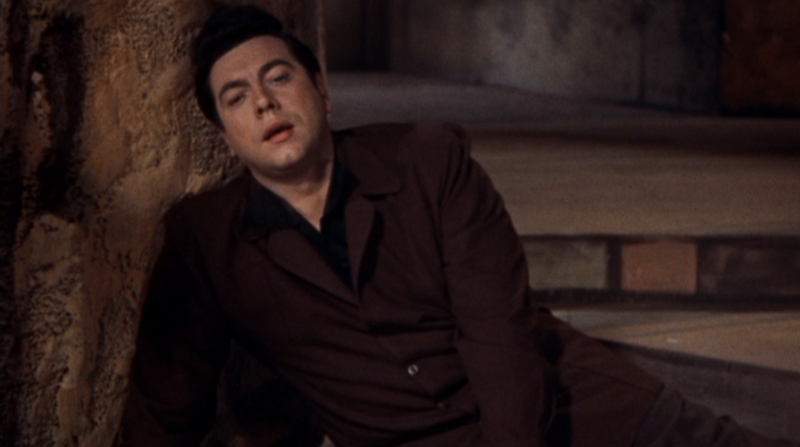 Only Hollywood would depict a tenor going from the dramatic demands of Otello to the lightness of Don Ottavio's music in Don Giovanni, but to be charitable here let's assume that the scenarists were trying to emphasize that Mario's character is so down on his luck that he will accept any role, no matter how inappropriate for his voice type. A scene depicting Lanza's failed audition for the role of Don Ottavio in Don Giovanni is another acting challenge that he almost pulls off. 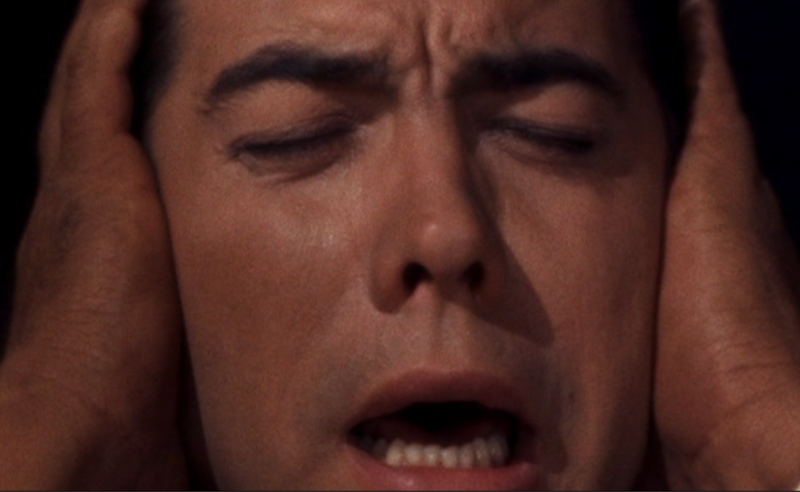 Slightly hammy here in places, he is nonetheless heartwrenching when he bursts into tears in an almost unbearable close-up that reinforces how far Warner Bros have taken him from his MGM days. Indeed the tenor should look out of shape in Mexico, since his character has clearly reached rock bottom. Mexico brings us into contact with the fiery Sarita Montiel in the role of Juana, sanitized here as a famous bullfighter's daughter rather than as the novel's common prostitute. Montiel is excellent in almost every scene, and restores much of the storyline's credibility. 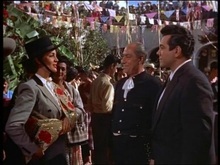 The same cannot be said of Lanza's performance, however, which is frustratingly uneven in several of the key Mexico scenes. Quite possibly he was unsure of himself in the initial stages of filming, but whatever the reason a retake should definitely have been made of the confrontation scene in which Montiel passionately tells him: "You lived through the fever, but your heart is dead!" Clearly nervous here, he overacts—a great pity given the spectacular location filming and atmospheric mood in this scene.